OSHA requires that employers provide a workplace free of known safety hazards – this includes protecting workers from heat-related illnesses. Beginning in 2011, heat safety became a focus of OSHA with its Heat Illness Prevention Campaign which includes tailored training, publications, and outreach programs designed to educate employers on the dangers of working in heat. When it comes to preventing heat illness, it is important to think ahead. It is common sense that the risk of heat-related illness becomes greater during the late spring and summer months when the weather is hotter and more humid. But situations are particularly serious, like now, when hot weather arrives suddenly early in the season, before workers have had a chance to adapt to warm weather. Thus, employers with outdoor workers should not wait until it gets hot to review their procedures and ensure their training is effective. Outdoor workers exposed to direct sunlight are at an obvious risk as the temperature increases. This is especially true if they must wear heavy protective equipment. However, indoor workers, such as those in foundries or plants are exposed to radiant heat sources and limited air movement which can be just as dangerous. As such, the above recommendations apply to all work environments. In the end, although OSHA does not have a specific standard that covers working in hot environments, employers nevertheless have a duty to protect workers from recognized serious hazards in the workplace, including heat-related hazards. 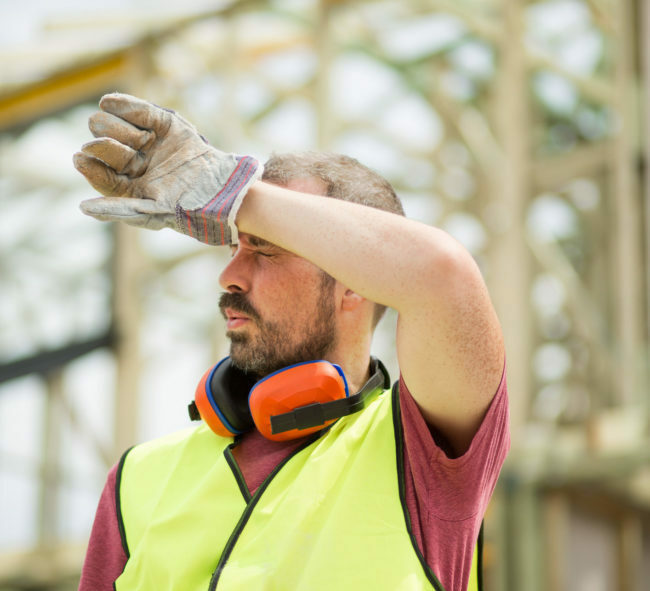 Every year, workers become ill while working in extreme heat and humid conditions – with more than 40 percent of heat-related worker deaths occurring in the construction injury. OSHA investigates these heat-related incidents and complaints to their fullest. As such, it is important to review your company’s heat-related safety and hazard prevention and heat identification to ensure it complies with OSHA, especially early in the season.